So the Seahawks and their fans are only a few minutes from the wound of losing the playoff game to Cam Newton and the Panthers, but I need to say something. I watched this game in a bar in MY neighborhood with two of my girlfriends. At our table were a couple more women who I invited to join us because there were no tables in the bar by an hour before the game. Because that is what you do! You invite other hawks fans to the table. I learned that here…in Seattle. Sitting in that bar before even the first play, the energy was palpable. I could feel my spirit humming and my skin was tingly with the anticipation. As the game was played, the range of emotions in the room was a roller coaster. And can I just say…I loved every single anxious, nail biting, moment. Because I love this city! I love Seattle and it’s heart. 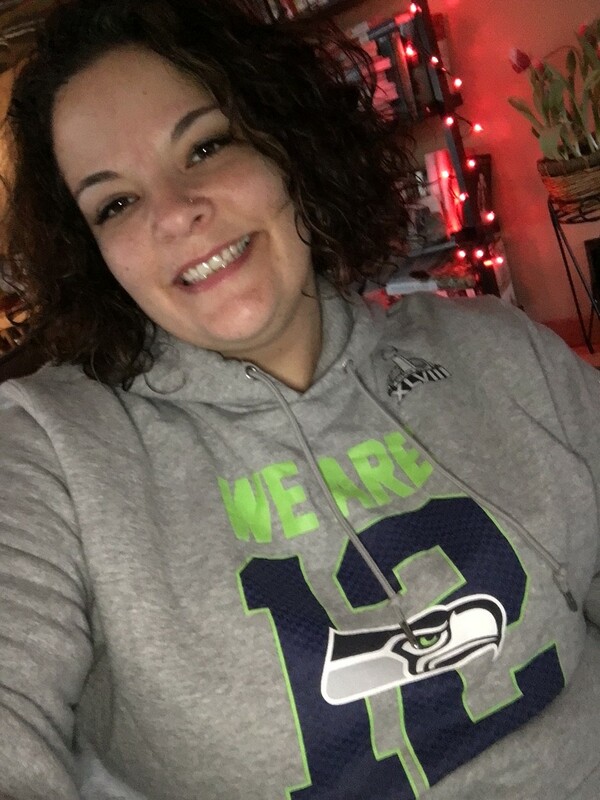 I love that I walked into a bar in the fall of 2012, miserable living in this new city, and without friends and a crew of Seahawks fans adopted me because I was rooting for their team. I love that this is a city where camaraderie can be formed in a bar, an elevator, a work meeting, or on a city bus just because you are wearing the right colors on Blue Friday. I love that my coworker said he could tell a lot about me because I was wearing the hard hitting, killer Kam Chancellor’s jersey and started calling me “thug” on the reg. I love that today I not only high-fived, but HUGGED, complete strangers in a bar as Seattle made their attempt to come back. And those who know me well know that I couldn’t always say that. But I do. I love this city. 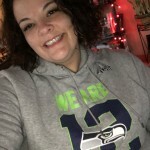 This sun loving, southwestern, New Mexico girl calls this rainy, passive aggressive, crazy making Seahawks city home by choice. By choice. Every day I choose you Seattle. Sundays in Seattle are Church. The spirit at the bar, in my house, with my friends is more real to me than most churches I’ve walked into these past several years. And all I can say is that if churches could find a way to rally around a young man of color who can do miracles and make people feel real passion for humanity and shared community, then maybe they’d have something I could get into. Until then…I’ll stick with loving these Hawks and loving this city and loving these people.